See poster for details and click on the above link to access tickets-limited seating available. What customers think of your organization is determined one experience at a time. 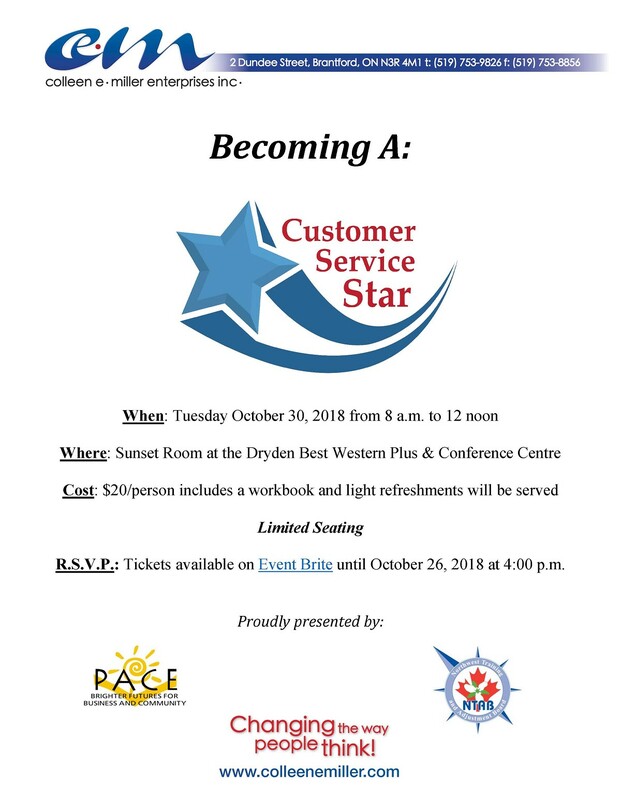 Welcome to Customer Service - Becoming a Customer Service Star!TM This interactive workshop is designed to help you and your team provide personalized caring service, improve internal communication flow and create positive experiences that exceed their customer's expectations - and become a Customer Service Star!